Sun hats for men should be your companion if you are going to spend time in the sun, regardless of what kind of activity you will be involved in or your location. You should know that men's sun hats are advised, not because they prevent glare or keep your head cool but because they can block the UV rays of the sun. UV protection is so important because it has serious ramifications for the health of people who spend a lot of time under the sun. These ramifications can range from a variety of diseases, culminating with the life threatening cancer. Sun protection is a widely established need for mankind, and there are a variety of products in the market that can help you achieve exactly this. Using sunscreen, sun resistant clothing and sun hats for men can go a long way in helping you stay fit. 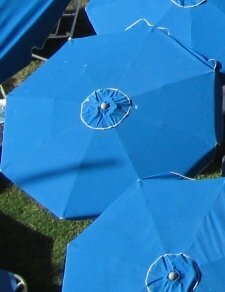 However, before you purchase a sun hat, you need to take into account the following aspects. What kind of a brim does your sun hat have? Many men think that their skin does not need protection because of some misplaced sense of masculinity. Protection from the sun is a prerequisite, regardless of whether the person is a man, woman or a baby. In fact, the ultraviolet rays of the sun can have serious consequences for a lot more than just your skin. It can affect your eyes and your hair as well. Therefore, you need to protect all three of these things and the best way to do this is to have a sun hat that has a wide brim. You can even choose to go for legionnaire sun hats which have a curtain at the back and sides that will protect your neck and ears. Do you need your sun hat to be waterproof? If you are going to be involved in some kind of a water sport or are even planning to go fishing then you need a sun hat that is waterproof. There are sun hats for men that are designed to be waterproof and you should not have trouble finding one. Is the climate hot or cold? A hot climate would mean that you would want to stay sweat free and cool while a cold climate means that you would want your head as warm as possible. 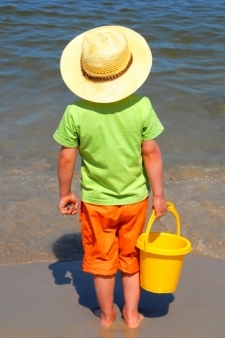 When it comes to sun hats, their ability to keep you warm or hot is determined by their breathability. The more they breathe, the more they would be able to keep you cool. Therefore, you should choose your sun hat depending upon your destination and the temperature there. Apart from this, there are a variety of other aspects that you may want to consider when you are looking for sun hats for men . For example, fashion savvy men might even want to take into account the look and style of the hat while other extremely active men might want sun hats that have adjustable clasps so that their hat does not fly off with the wind.